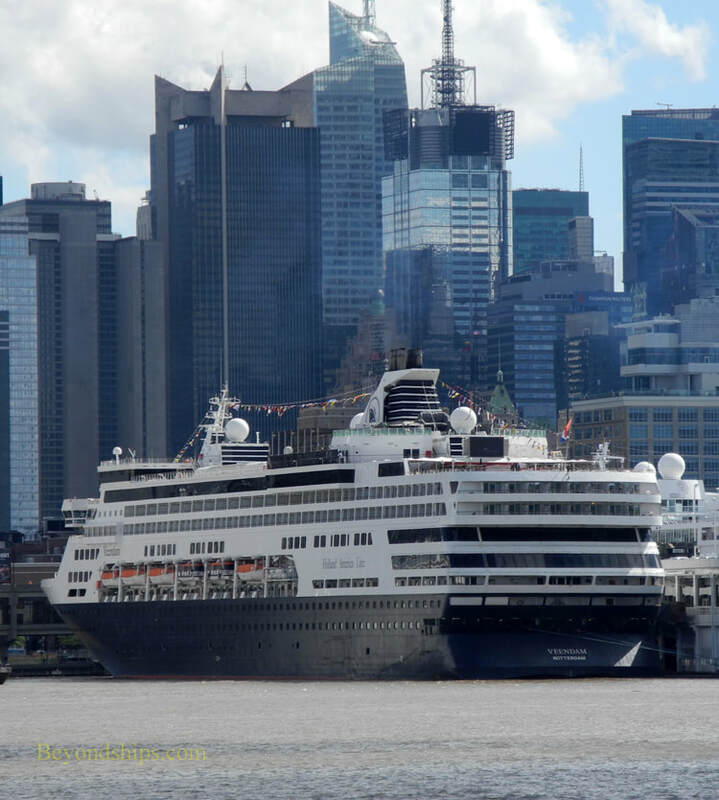 Veendam is the type of ship that gets around. 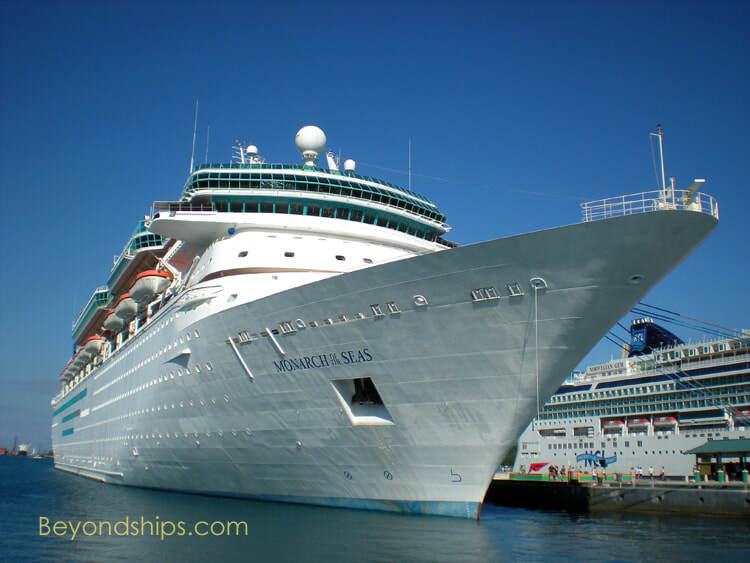 She is small enough to go places where bigger ships cannot but large enough to handle the open sea. While she is well-traveled, she is no stranger to the east coast of North America. 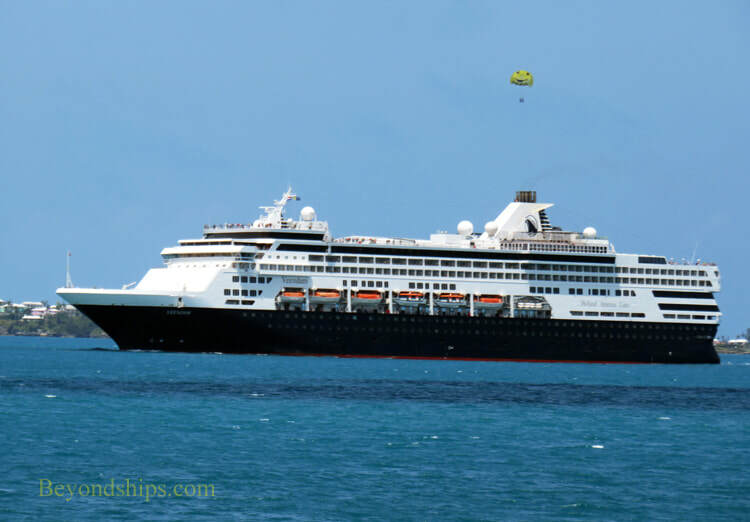 Similarly, Bermuda is lie a second home for Veendam. 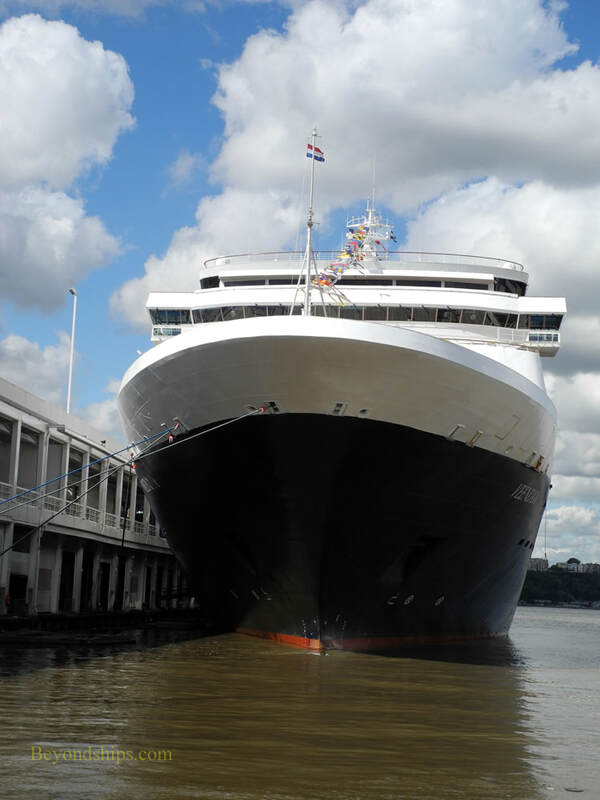 In this photo feature, we see Veendam in some familiar locales. 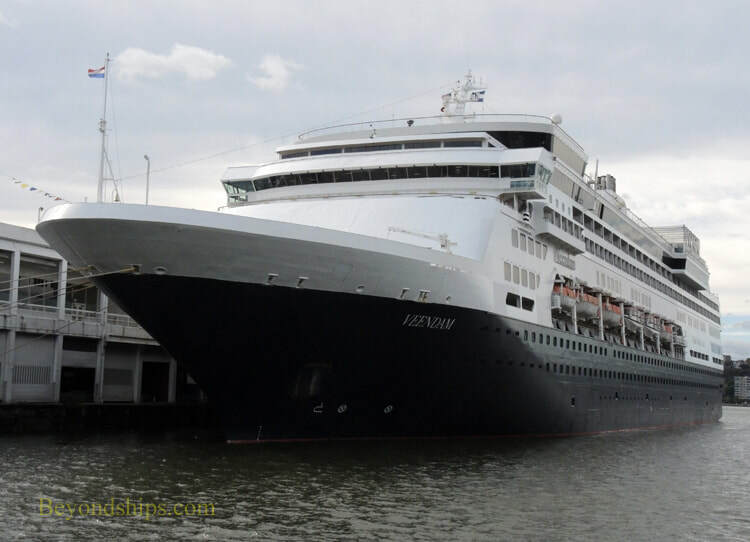 For several summers, Veendam was based in New York City. 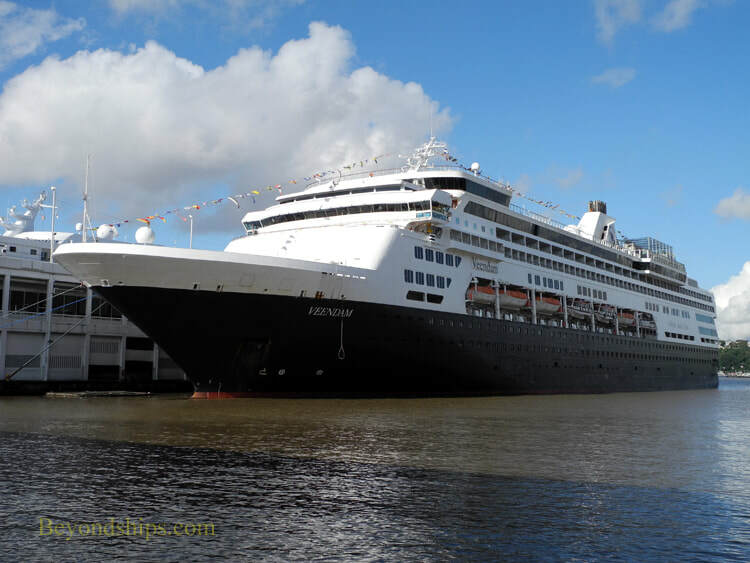 More recently, the Big Apple has been a port of call for Veendam. 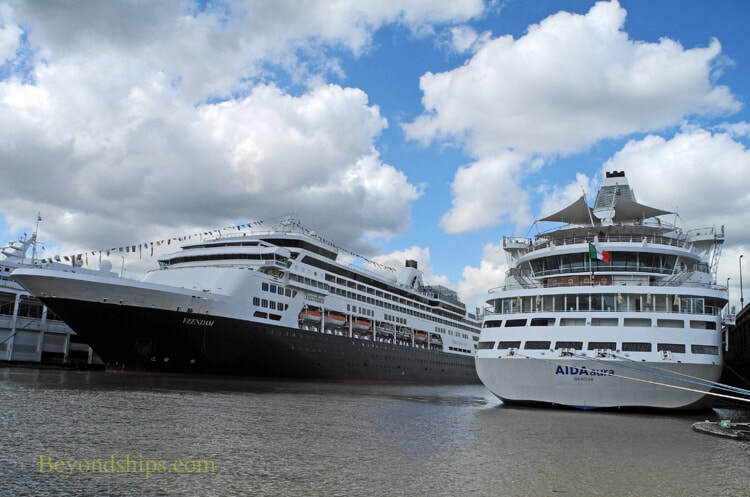 ​Right: Veendam from the New Jersey side. 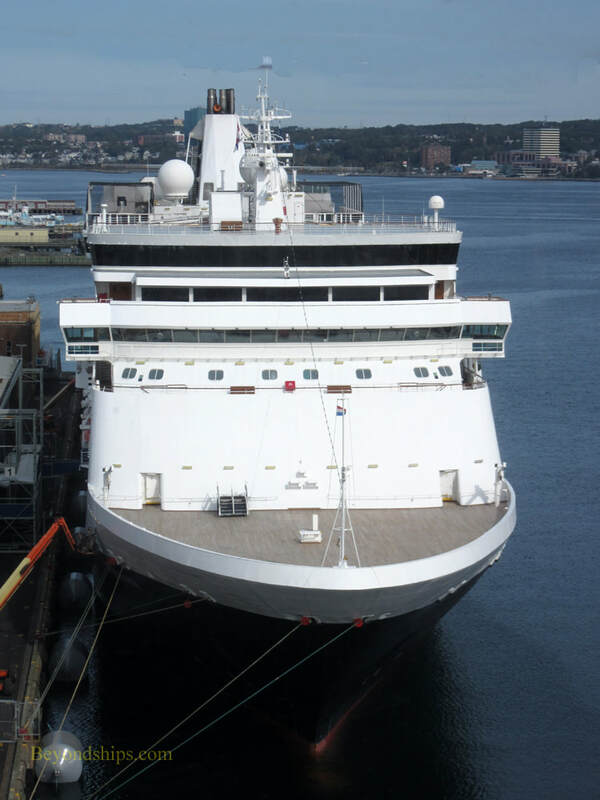 Veendam on a Canada - New England cruise in Halifax, Nova Scotia. 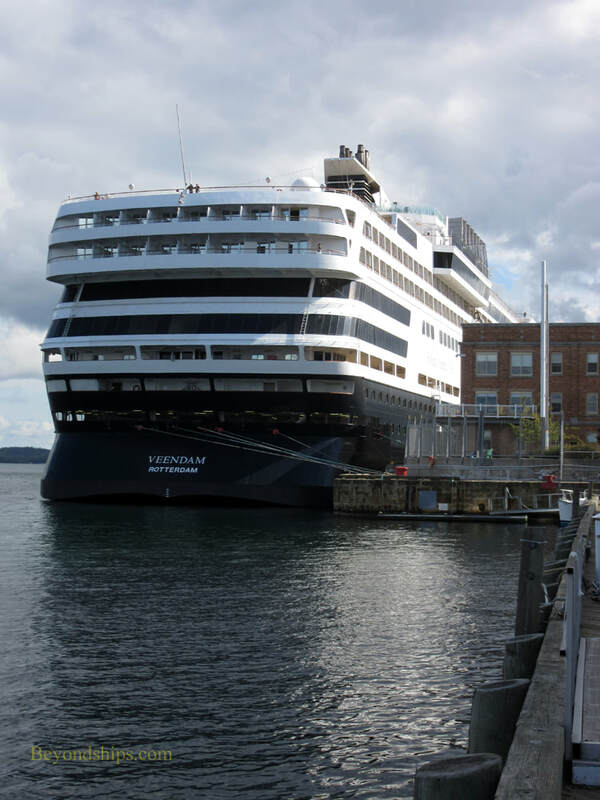 Veendam's size enables her to dock in Hamilton when she goes to Bermuda. Here, she is transiting the Great Sound on her way to her berth on Front Street.